As a taxpayer who helps fund VTA bus and light rail service, it is your right (and responsibility) to report these issues to VTA management. The initial way to do this is through VTA Customer Service. Use this page as a starting point to make your issue(s) known to management of the Santa Clara Valley Transportation Authority (VTA) in Santa Clara County. For all compliments or complaints about VTA bus and light rail service, let VTA’s Customer Service know about the issue FIRST at (408)321-2300. VTA Customer Service is @vtaservice on Twitter. While this is convenient by mobile phone, some issues cannot be resolved via social media. Also note: social media is not monitored 24 hours/day. Hence, it is strongly advised to use email or other written means to contact VTA about some issues. This is detailed below. IN ANY WRITTEN CONTACT TO VTA, ALWAYS ASK FOR A WRITTEN RESPONSE! 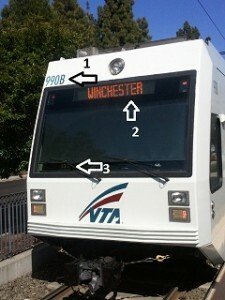 However you choose to write to VTA Customer Service, always include details of the incident in question IN FULL DETAIL. Include what bus or light rail train you are riding (or rode) and the driver’s badge number. 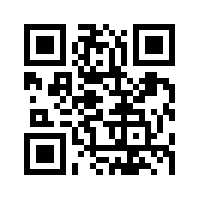 Details on how to get this information are below. 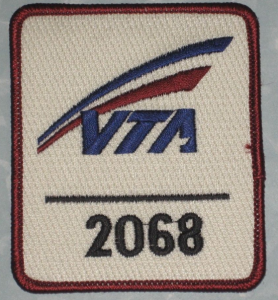 The photo below shows where to find this information on all VTA 35-foot, 40-foot, and 60-foot articulated buses – including the new 40-foot hybrid buses. 2. Bus garage routing number (showing the bus route and number of bus that left the garage for that route. In this case, this is on the 64 bus line and is the 3rd bus that left the garage for this route. At minimum, always get the destination and vehicle number of the bus or light rail train. Sample VTA operator badge. Courtesy @McinnesVivian. When contacting VTA Customer Service with your compliment or complaint, always refer to the driver’s or operator’s badge number. This makes it easier for VTA staff to resolve your case, and increases your chances of getting a positive result from your case. Before you conclude your contact with VTA Customer Service, always ask for a case number and request to be contacted in writing. Provide in writing the same information you gave VTA Customer Service, and the case number they provided you. Ask to be contacted in writing. If no resolution has still not been provided to you, or if you are not satisfied with the response or resolution VTA gave, make time to make your case to the VTA’s Board of Directors at their next meeting. Also, send a copy orseparate letter to us as well. Remember: VTA’s Community Outreach, as well as other areas of Customer Service, can be contacted thru the web form on VTA’s web site or by calling (408)321-2300 during daytime hours. To find out whether a bus stop near you will be getting a new bus shelter soon, or to qualify a stop to receive a bus shelter, please contact Mona Babauta, head of VTA’s Bus Shelters program, at (408)321-5769. Send your inquiry, compliment or complaint to VTA’s General Manager, Nuria L. Fernandez, with a copy of your letter sent to the Silicon Valley Transit Users. Are the community bus schedules posted approximate? I wanted to catch the 42 line, 6:34 a.m. bus at Menard and Monterrey this morning, and was literally 150 feet or so from the stop at 6:30 a.m. when the bus went by. It made a U turn at Menard and just went by. They couldn’t see me as it was a dark sidewalk. How early might I expect a bus to pass a stop? 9/19/2016. Bus 168 Express Gilroy Transit Station. 5:56 pm stop San Jose Convention Center. Never arrived. Waited 30 minutes. Had to take light rail to Santa Theresa end stop the 68 local bus. Added 1 hour to my travel time. Not acceptable. Did you also report this to VTA Customer Service, per the instructions on this page? If so, did they reply? My elderly mother and me were victims of blatant disregard and condescending angry negative demeanor by an angry VTA bus driver. We were literally pushed to the back of the bus by this negative entity. We were treated as livestock. Shocked at the blatant negativity we were recipients by this angry ogre. We were not harming anybody we were just trying to get home in peace. paying vta riders deserve infinitely better than this. This ignominy cannot go in vain, we demand a compensation for the ill treatment we experienced and to know this angry entity will be dismissed from vta altogether as he showed paying customers where his stance lays when it comes to doing his full job like he is supposed to. This entiry fails to do his job properly and gives a hateful scornful negative attitude, we as peaceful customers definitely did not deserve this infamy to be driving or working in any public position whatsoever! We were shocked and didn’t believe such awful event was happening. See for yourself in the camera how angry he got at me asking him to open up the ramp so we could get on, at the SIMPLE easy request, he manifests open signs of aggression and negativity, see for yourself in the camera! He then angrily demanded us to move ourselves and our cart to the back of the bus, he didn’t even ask us how far we were going, we were only going 4 stops. yes there was a handicap but he didibt need to get off before us this the excuse that we were going to block his way was false, very bad attitude. Besides my mother is elderly as she also has rights to the designated front seats!!! We were wrongly sent to the back of the bus as to clear the way for no one other than to satisfy his disgusting inner demons. The slob didn’t want to do his job properly. He failed to provide a fair service, he fails and is in no same way fit to keep his job. Its beyond unreasonable for the public to be receptacles to his horrible attitude and condescending demeanor. Why are there so few north bound Light rail trips from San Jose to Mountainvew during the weekday evening ? Today I missed an MV train at 5:55pm and had to wait until 7:05 pm. And yet there seem to be frequent and empty trains to alum Rock and civic center. This morning, at 0845, at Mountain View Caltrain, Bus 52 (physical bus 0193) failed to stop for pedestrians in the crosswalk. There were several people attempting to cross to the shuttles, and the driver was aware of those who were crossing, yelled at them, and did not stop his bus despite people in a crosswalk in front of the bus. The Marquee said the bus was going to Foothill. 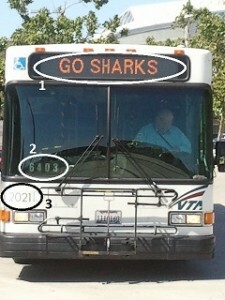 I would hope that the time, bus route, and bus number are sufficient to uniquely identify the driver. On monday 3/24 at approximately 3:25 PM the driver of bus #2332 on Route 22 at stop # 60507 on El Camino in Palo alto exhibited rude aggressive reckless and dangerous behavior to a line of cars waiting to enter the driveway of a school in palo alto. 5 or so cars were lined up along the curb in front of the school waiting to enter the driveway. The driver stopped behind the line or cars and sounded his horn continuously. He then drove up alongside the line of cars as it began to move forward turning his right front wheel and the bus in ahead of a car as it was moving forward. The car was forced to stop abruptly to avoid colliding with the bus. This driver exhibited irresponsible behavior and should be reprimanded. You did report this to VTA directly using the steps mentioned above, right? I arrived at Fremont bart to catch the 180 bus towards downtown San Jose and I asked the driver if this was the right bus because the buses alternate routes. The driver told me the bus was NOT going downtown so I didn’t get on. However the next bus also said it wasn’t going downtown so the first driver LIED to me and made me late for work! As someone who depends on VTA for transportation I find this extremely unnacceptable and hope you take action with this matter. Was it a Saturday? It used to be 180 only, and now it’s 181 only on weekends. Every other 181 bus (every 40 minutes) goes downtown. The driver that lied to you was really irresponsible. And of course, on weekdays, it’s much easier, all 181 goes downtown and the 180 doesn’t. If you have a pass, it wouldn’t be a bad idea to get on the next bus you see and transfer to light rail or 66 downtown if the bus doesn’t continue. For your future reference, check the schedule ahead of time. Since you’re a regular rider, you should be able to remember the schedule. If you prefer, I still suggest you make the complaint, or just mention your case and refer to all other drivers to be more responsible in the future.